//	Huawei P20 Lite with Android 9 Pie Spotted on Geekbench; Honor 7X Might Get Pie Too! Huawei P20 Lite with Android 9 Pie Spotted on Geekbench; Honor 7X Might Get Pie Too! One of the latest models to be seen on Geekbench with the Android Pie OS is the Huawei P20 Lite. 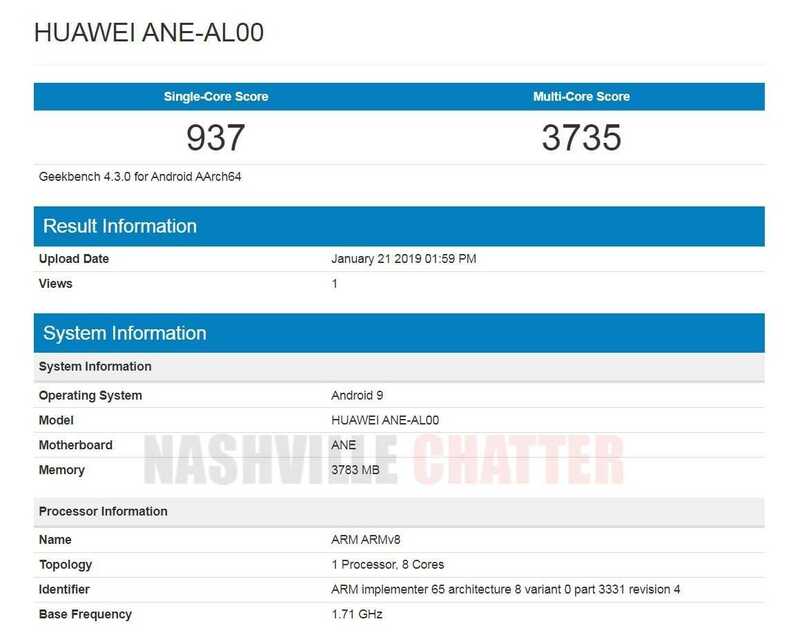 The Geekbench listing has the moniker Huawei ANE-AL00 as the model name, and this is the Huawei P20 lite phone. This phone should receive the official upgrade to the version 9.0 of Android very soon in the weeks to come. It is to be noted that Huawei had released the Android Pie OS update to the other two P20 variants namely the Huawei P20 and the Huawei P20 Pro. The P20 Lite was the only variant left out and now with the Geekbench listing, the update should be around for this phone as well. These updates are not released to all users of the device at once. Its done in a gradual manner for different users in different countries. Most smartphone makers have been very busy with Android Pie updates over the past few weeks and Huawei is no exception. And in addition to making the latest version suitable for the devices, those phone makers that have their own inhouse UIs have to first adopt their OS to the Android OS. All these take some time. The companies first choose the devices released most recently and go backward updating one after the other. Preference is given to the higher end phones for obvious reasons. The smartphones originally released with the Android Oreo are the ones taken up first. Very few phones that has been released with the Android Nougat have been chosen for the Android Pie upgrade. One device that might get included in such a list is likely to be the Huawei Honor 7X. At least, this tweet by Mishaal Rahman indicates that. He gets these things right on most occasions. Released in December 2017, this device had only the Android Nougat as the OS but since the Android Oreo upgrade had been released by then, the company had indicated at the time of release that the phone will receive the upgrade to the Android Oreo. If the Honor 7X receives this upgrade as seen in the tweet, then it would be a second upgrade for the Huawei Honor 7X. But a confirmation on this can come only when you hear from Huawei.